MOORESVILLE, N.C. — Click below to listen to the 141st episode of Race Chaser Online’s Stock Car Show on the Performance Motorsports Network, which featured audio interviews from NASCAR national series stars Darrell Wallace Jr. and Justin Allgaier. 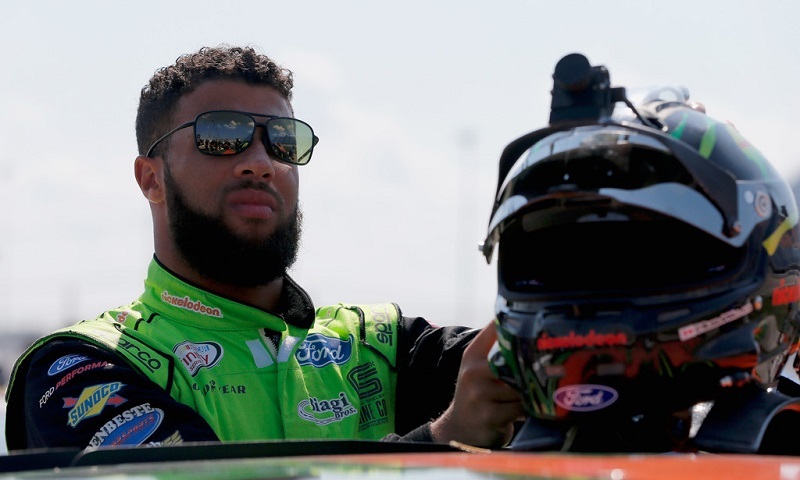 Both drivers appeared at Charlotte Motor Speedway’s ‘Paint The Pit Wall Pink’ event and discussed cancer awareness, with Wallace adding on information about his new foundation, “Live 2 Be Different”. Race Chaser Online analysts Jacob Seelman, Tom Baker, Rence Brown and Cisco Scaramuzza also broke down Todd Gilliland’s continued quest for championships in both the K&N East and West divisions, as well as the ARCA Racing Series’ penultimate event from Kentucky Speedway and Austin Theriault’s spectacular seventh win of the season. New England motorsports insider Kyle Souza dropped in to discuss the NASCAR Whelen Modified Tour and Doug Coby’s quest for a fourth-straight championship entering the NAPA Fall Final at Stafford Motor Speedway; while HMS Motorsport safety specialist Billy Glavin discussed on-board fire systems during a special safety segment as well! Just use the player below to hear the full program in its entirety!